More than 400 teams are already in: Why not jump in on the fun with them today? 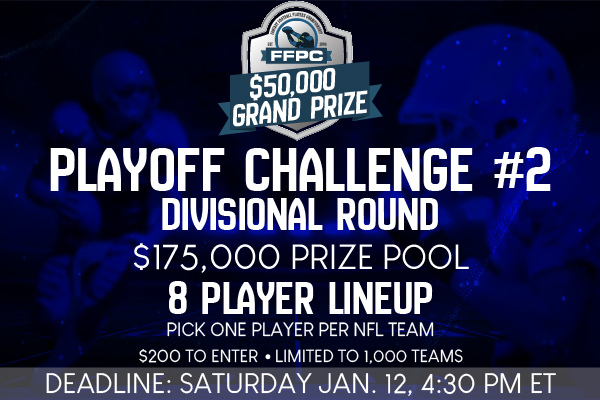 This year, we’ve launched the inaugural 2018-19 FPC Playoff Challenge #2 running from the Divisional Round to the Super Bowl! You’ll be able to pick eight players to form a lineup that will (hopefully) cash a $50,000 grand prize after the Lombardi Trophy has been awarded. 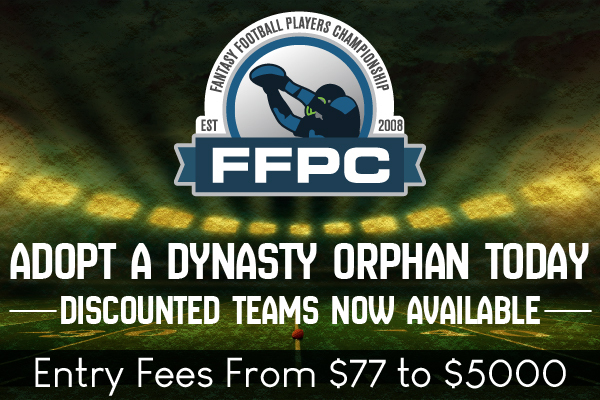 The FFPC Playoff Challenge #2 is filling up fast with the pace quickening over the last 18 hours. Get in now before it’s too late!